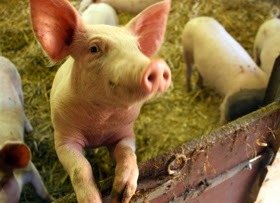 Pork has been the meat of first choice in Poland for decades and is the basis for a great many comfort food recipes. We love our pork, grilled, baked, braised, stewed in sour kraut, or almost any way possible. One of the favorite cuts for serving pork is the common chop. 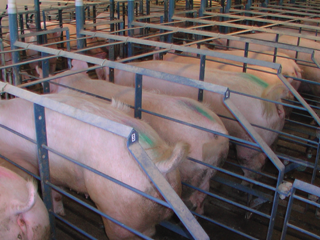 In recent years the pork we see in the U.S. is specially bred for leanness so some cuts are definitely less flavorful than the farm-bred pigs to which Babcia was accustomed. 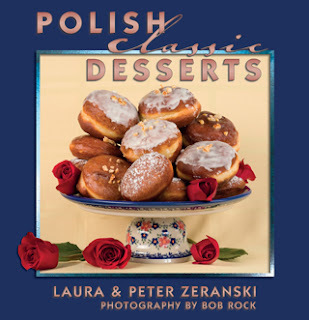 Back in her day, Polish pigs on a pre-WWII farm were fed a diet of potatoes, sour milk, old cabbage, corn, etc., and that’s why the milder Polish hams became so popular all over the world. Today, pork is big business everywhere and pigs are specially bred to be disease resistant, leaner and to yield more usable pounds per pig. So the product we see in our grocery stores is generally leaner. That’s also why the U.S. Department of Agriculture (USDA) now says that pork roasts and thick chops can be safely cooked to medium rare at a final internal cooked temperature of 145 F° , followed by a three-minute rest time. All this means that today’s pork is healthier but also has less intense flavor, in our opinion. 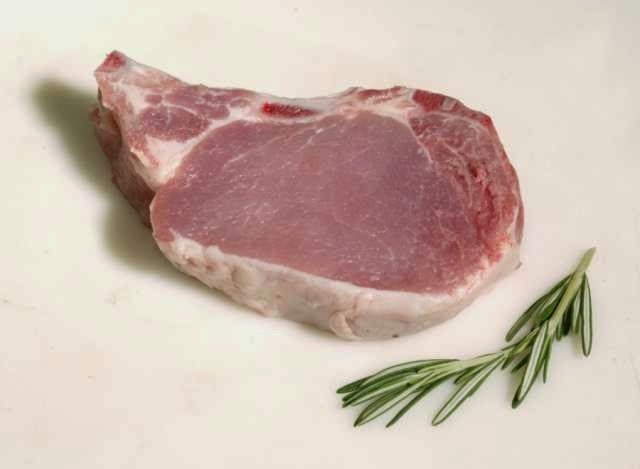 So we like to buy bone-in center-cut chops to get the best taste, such as this photo from J Vrola Meat Company. .
Today’s recipe is one of our favorite ways to prepare chops, especially if there’s too much snow or rain outside to fire up the grill. Look for the bone in style, maybe with a little fat on the edges, and don’t trim all that goodness away too soon. ½ cup bacon drippings, shortening, or cooking oil . Season the flour with salt and pepper to taste. Season the breadcrumbs with more salt and pepper plus the marjoram. . Trim most of the fat off the chops, leaving some for flavor. Mix the salt and pepper into the flour and the dredge the chops. Shake off the excess flour and dip chops in the egg mixture. 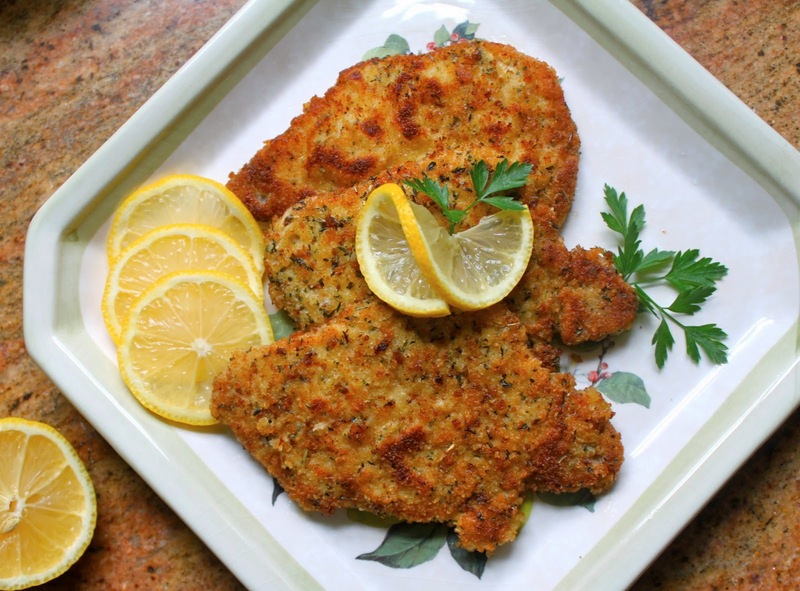 Roll in breadcrumbs and lightly press the crumbs into the surface of each chop. Brown the chops well on both sides in the hot fat. Place chops in one layer in a large baking dish and finish in a pre-heated oven at 325 F ° for 15 to 20 minutes. Using your instant-read meat thermometer, the chops will be done at 150 to 155F °. Serve these chops with red cabbage on the side, or boiled or mashed potatoes, or on a bed of stewed sauerkraut that has been flavored with bits of bacon and caraway seeds. The Metropolitan Cooking & Entertaining Show was in DC this weekend. Celebrity Chefs Guy Fieri and Bobby Flay, local chefs Cathal Armstrong and Todd English, an army of culinary experts and a huge convention hall filled with gourmet vendors all landed at the DC Convention Center this weekend to present a culinary event that was nothing short of foodie heaven! The show felt somehow re-energized this year…there seemed to be more interesting vendors, the main halls were laid out better, there was less pushing and shoving and there were more smiles on the faces of all the foodies who attended. 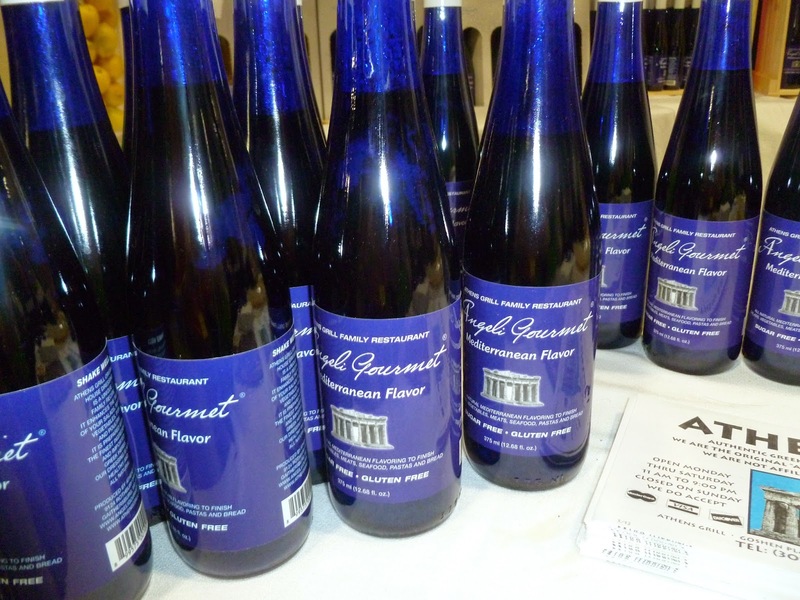 Amongst the jaw-dropping array of olive oils, balsamic vinegars, hot sauces, spice blends, razor-sharp knives, miracle-slick cooking pans, home remodelers, bakers, authors, choclatiers, wineries, breweries, etc., we saw many truly outstanding products worthy of any foodie’s pantry. These saucers in foil bags were among the more uniquely packaged products in the show. This Greek dipping sauce was beautifully prepared and a bottle fell into our bag very quickly. One of our favorite stops was the Anastesia Vodka table with samples of this lovely Oregon-based vodka that was so smooth that it truly gives challenge to our favorite Polish vodkas. The Taste of Turkey space was a consortium of purveyors of sweets, cook book and all things Turkish. Lilly’s Gourmet Maple Butter and Artisan Caramels from Choquette were two decedent yummies that we couldn’t pass by for holiday gift giving. Don’t tell anyone but we made several sneaky passes by Alexian’s Pate table with their three varieties of goose, truffle and duck goodness…sooo good! And the crowds loved the ingenious tool for perfectly cracking raw eggs. Local restaurant owner and Chef Cathal Armstrong showed us his grandma’s recipe for the perfect turkey & stuffing. Everyone learned something new from Chef, including the fact that a turkey can stay warm for almost four hours without drying out. Only Guy Fieri, the star attraction of this day, could charm the audience into beating up a pork chop with humor and a hammer. Guy’s show was almost stolen by his “emcee” - local ABC news anchor Leon Harris, as the two traded one-liners better than any open-mike night at a comedy club. This was truly a fun show. There were hundreds of samples available for tasting and sipping…in fact more than any sane person should attempt. But that why this show is a foodie’s best dream. Metropolitan Cooking & Entertaining shows take place in several cities around the U.S. so watch the papers for a date near you – it’s worth it!